Tampax is the tampon brand more women trust. 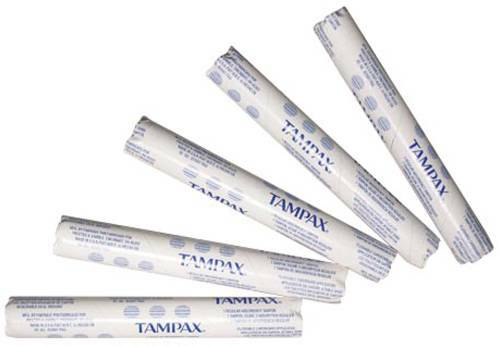 These original regular Tampax tampons are available in vending tubes to make it more convenient for women to choose the protection they prefer. 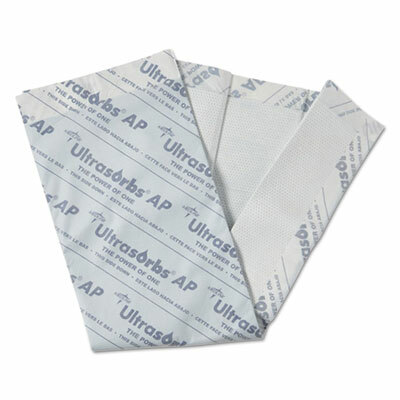 Protection Plus� disposable underpads with non-woven facing are soft against skin. Absorbent material helps contain fluid, and the polypropylene backing helps keep underpad in place. 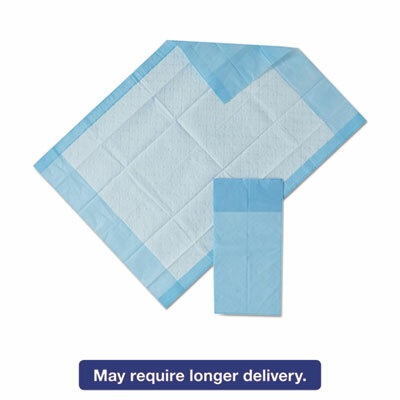 Diaper Style: Pad; Diaper Size: 17" x 24"; Latex Free: Yes; Color(s): Blue. 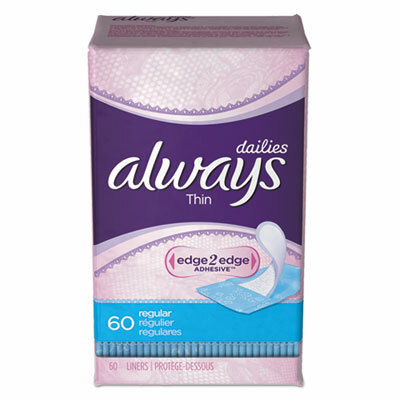 Hospital Specialty offers a complete line of leading brand name feminine hygiene products. 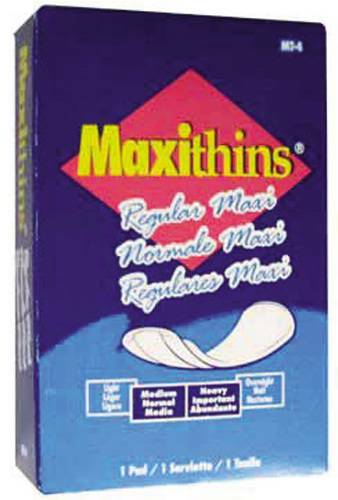 Maxithins Maxi Sanitary Napkins offer women convenience, comfort and protection. Whitened without chlorine and free of irritating dyes or fragrances. Contoured design with soft, cloth-like cover and secure, no-slip adhesive. Individually wrapped. 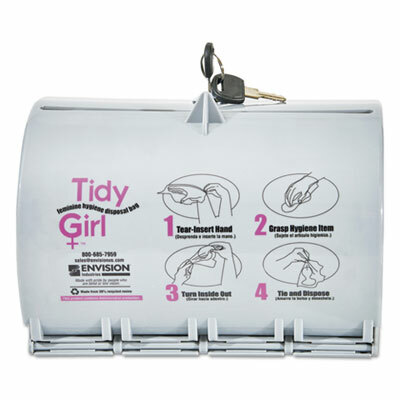 Plastic dispenser provides quick, easy, sanitary distribution of Tidy Girl� Feminine Hygiene Disposal Bags (sold separately) to restroom patrons. Easy-to-follow instructions are printed on the face of the dispenser for proper use and disposal of bags. Durable plastic, lockable lid, easy installation and easy to clean. 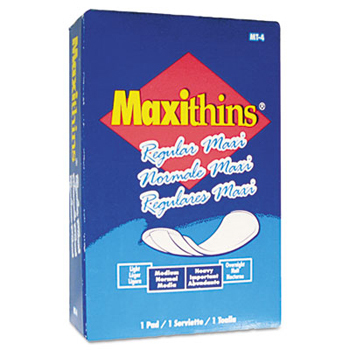 Enjoy superior comfort and complete protection with durable Maxithins� sanitary pads. Individually wrapped tri-folded pad incease hygiene. Convenient, plain white packaging is easy to open and blends well with any restroom d�cor. Absorbency: Maxi. FitRight� Super Protective Underwear features a body- contoured anatomical design for added user comfort. SensiSoft fabric for a soft, comfortable feel against the skin. 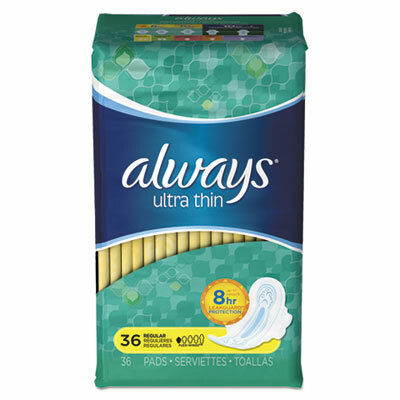 Soft anti-leak guards and an ultra-absorbency core provide wetness protection. The acquisition and dryness layer wicks moisture away from the skin and into the core for ideal dryness and leakage protection. Linear embossing technology distributes fluid throughout the core for exceptional dryness and containment. Size printed on the back sheet identifies product size for a better fit and improves ease of care. Diaper Style: Adult; Diaper Size: X-Large; Latex Free: Yes; Color(s): White. Air-Permeable, moisture-proof backsheet provides superior skin dryness and comfort when your patients need it most. Absorbent core wicks moisture away from the skin for increased patient dignity and better skin care. Designed for open-airing incontinence management, ICU/CCU patients who should not be disrupted/moved more than necessary, ER for absorbing significant/ongoing fluid loss, labor and delivery, OR use Low Air Loss Therapy, and any other area where skin dryness is needed. Diaper Style: Pad; Diaper Size: 30" x 36"; Latex Free: Yes; Color(s): White. 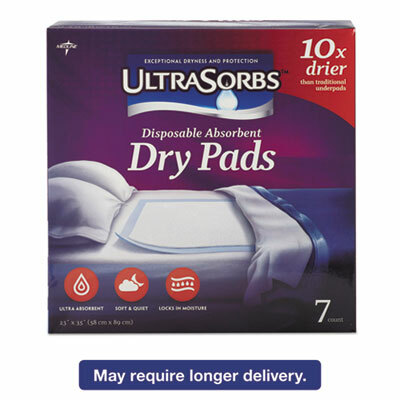 Hardworking pads provide up to 8 hours of LeakGuard� protection for your heaviest days and nights. LeakGuard� Core pulls fluid deep into the core and away from the edges. 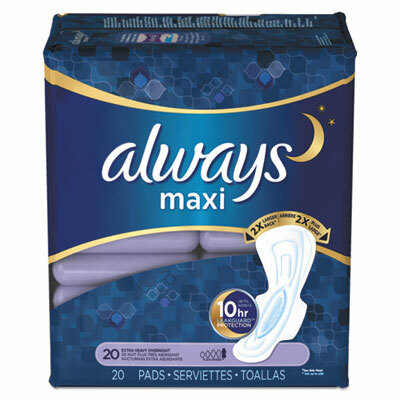 Pads absorb in seconds, keeping you dry and comfortable. Extra-long, super-absorbent pads. Absorbency: Super Long. Don't let leaks trouble you any more, with a discreet liner that absorbs leaks and odors in seconds, providing light overactive bladder protection right where you need it. Featuring a thin, flexible design, these liners were made with you in mind. Unique DualLock Core helps lock away odor and wetness for hours. Exclusive OdorLock technology neutralizes urine odors instantly. 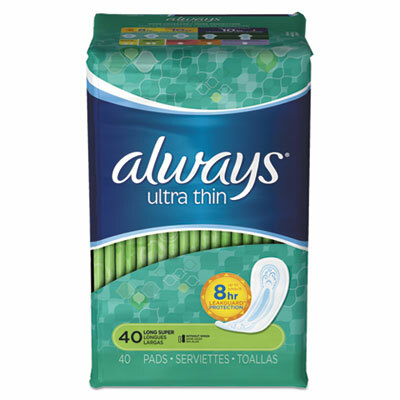 Designed for incredible comfort and confidence, discreet liners provide twice the absorbency most women need, neutralizing odors and letting you get back to your normal life. 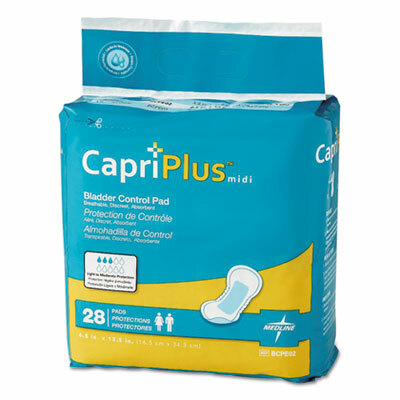 Features an easy-open re-sealable wrapper for discreet incontinence liner disposal. Lightly scented are dermatologically tested. Absorbency: Regular. 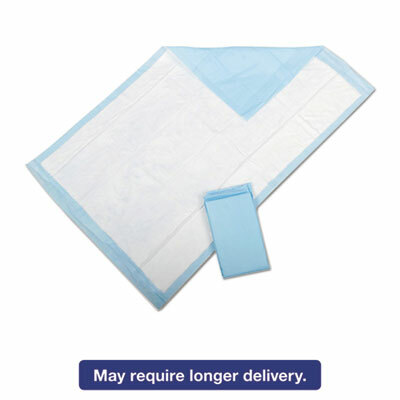 Protection Plus� disposable underpads with non-woven facing are soft against skin. Absorbent material helps contain fluid, and the polypropylene backing helps keep underpad in place. Diaper Style: Pad; Diaper Size: 23" x 36"; Latex Free: Yes; Color(s): Blue. Dry touch fabric top; non-woven top sheet is soft and keeps moisture away from skin for greater comfort. Ultra Absorbent Core; unique embossed design wicks moisture away from the surface for incomparable wetness protection. Aquashield film; traps moisture but, unlike ordinary pads, it allows air to flow through so skin can stay dry, cool and more comfortable. Innovative, leak-proof backsheet; exceptionally strong backsheet avoids tears and ripping. Diaper Style: Pad; Diaper Size: 23" X 35"; Latex Free: Yes; Color(s): Blue. 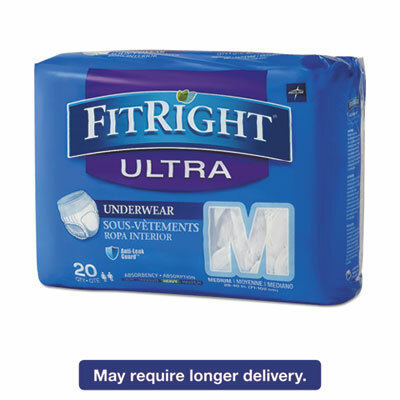 These FitRight� Active Male Guards absorbent pads are designed for comfort and discretion. Soft, breathable back sheet provides increased comfort. Super absorbent core with fast acquisition layer for optimal dryness and protection. Adhesive to hold product in underwear. Diaper Style: Pad; Diaper Size: 6" x 11"; Latex Free: Yes; Color(s): White. 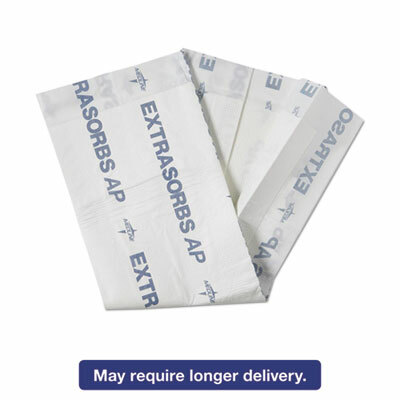 Absorbent bladder protection allow you to be confident, absorbing leaks and odors in seconds. Designed for incredible comfort with Dual LeakGuards that help prevent leaks where they happen most. The Advanced Triple Layer Core helps pull, trap, and lock away urine wetness while the soft cotton-like waistband gives comfortable incontinence protection. OdorLock technology neutralizes urine odor instantly and continuously, helping keep your overactive bladder discreet. Perfect for those times when you need heavy coverage. Absorbency: Maximum. Don't let leaks trouble you any more, with a discreet liner that absorbs leaks and odors in seconds, providing light overactive bladder protection right where you need it. Featuring a thin, flexible design, these liners were made with you in mind. Unique DualLock Core helps lock away odor and wetness for hours. Exclusive OdorLock technology neutralizes urine odors instantly. 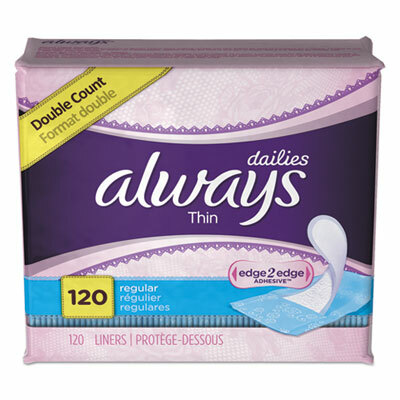 Designed for incredible comfort and confidence, discreet liners provide twice the absorbency most women need, neutralizing odors and letting you get back to your normal life. 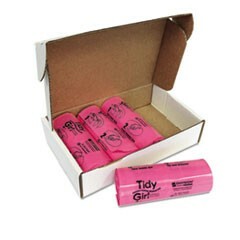 Features an easy-open re-sealable wrapper for discreet incontinence liner disposal. Lightly scented are dermatologically tested. Absorbency: Very Light. Don't let leaks trouble you any more, with a discreet liner that absorbs leaks and odors in seconds, providing light overactive bladder protection right where you need it. Featuring a thin, flexible design, these liners were made with you in mind. Unique DualLock Core helps lock away odor and wetness for hours. Exclusive OdorLock technology neutralizes urine odors instantly. 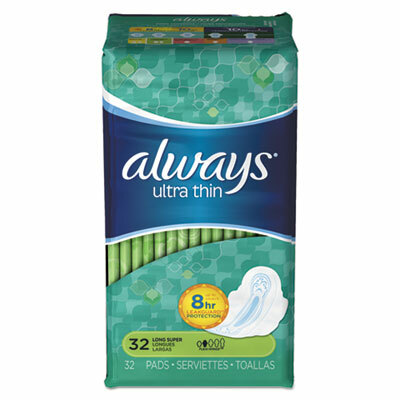 Designed for incredible comfort and confidence, discreet liners provide twice the absorbency most women need, neutralizing odors and letting you get back to your normal life. 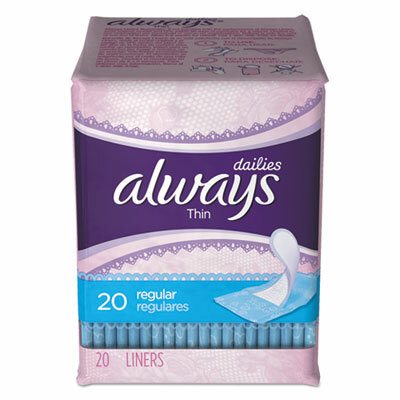 Features an easy-open re-sealable wrapper for discreet incontinence liner disposal. Lightly scented are dermatologically tested. Absorbency: Maximum. 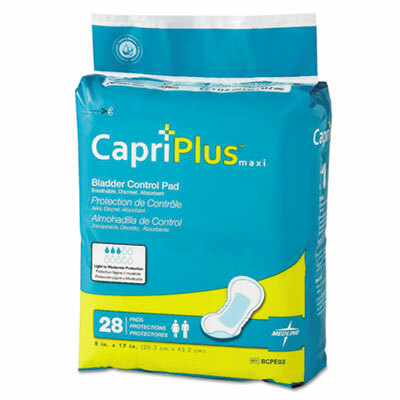 Capri Plus� Bladder Control Pads have a breathable clothlike outer cover for a dry, comfortable feeling against the skin. Blue acquisition layer, and super-absorbent core lock in fluid and keep it away from the body, protecting the skin. Elastic leg gathers and contoured design create a discreet, secure and comfortable fit. Diaper Style: Pad; Diaper Size: Extra Plus, 6 1/2" x 13 1/2"; Latex Free: Yes; Color(s): White. 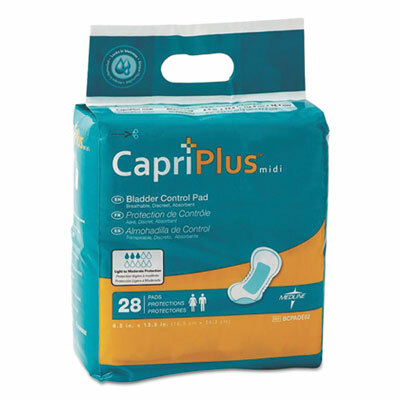 Capri Plus� Bladder Control Pads have a breathable clothlike outer cover for a dry, comfortable feeling against the skin. Blue acquisition layer, and super-absorbent core lock in fluid and keep it away from the body, protecting the skin. Elastic leg gathers and contoured design create a discreet, secure and comfortable fit. Diaper Style: Pad; Diaper Size: Ultra Plus, 8" x 17"; Latex Free: Yes; Color(s): White. 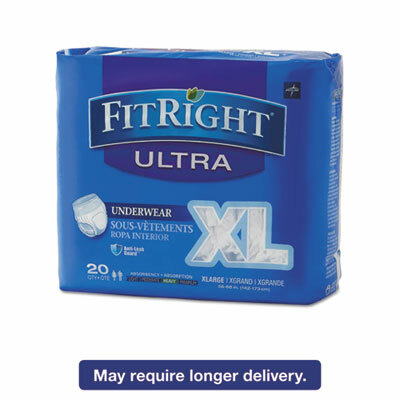 FitRight� Super Protective Underwear features a body- contoured anatomical design for added user comfort. SensiSoft fabric for a soft, comfortable feel against the skin. Soft anti-leak guards and an ultra-absorbency core provide wetness protection. The acquisition and dryness layer wicks moisture away from the skin and into the core for ideal dryness and leakage protection. Linear embossing technology distributes fluid throughout the core for exceptional dryness and containment. Size printed on the back sheet identifies product size for a better fit and improves ease of care. Diaper Style: Adult; Diaper Size: Medium; Latex Free: Yes; Color(s): White. 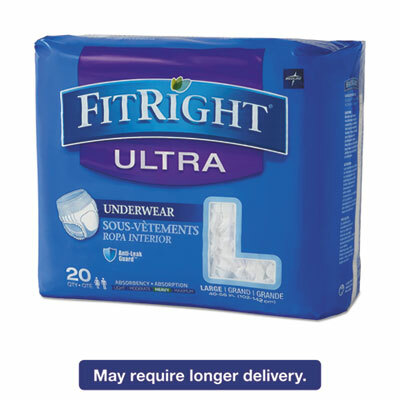 FitRight� Super Protective Underwear features a body- contoured anatomical design for added user comfort. SensiSoft fabric for a soft, comfortable feel against the skin. 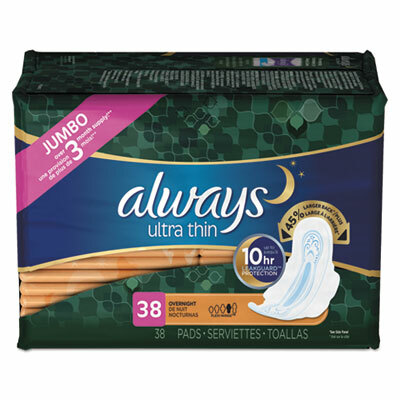 Soft anti-leak guards and an ultra-absorbency core provide wetness protection. The acquisition and dryness layer wicks moisture away from the skin and into the core for ideal dryness and leakage protection. Linear embossing technology distributes fluid throughout the core for exceptional dryness and containment. Size printed on the back sheet identifies product size for a better fit and improves ease of care. Diaper Style: Adult; Diaper Size: Large; Latex Free: Yes; Color(s): White. Ultrasorbs AP� help manage moisture and help maintain skin integrity over time. 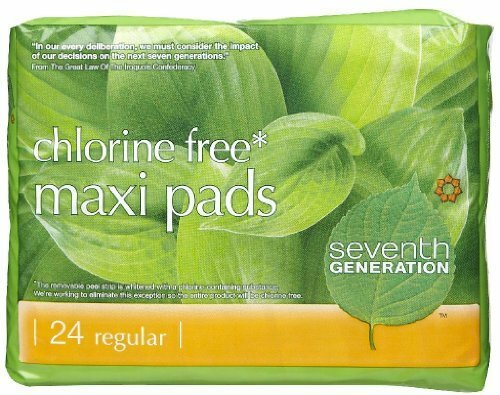 Extra-large pad draws in moisture, locks it away from the skin. Feels dry to the touch in just minutes after wetting. AquaShield film provides leakage protection, resulting in fewer linen changes; with no double-padding needed. Lies flat when wet without bunching, swelling or disintegrating. Air-permeable for added patient comfort. Effective for use with low air loss mattress therapy�protects the bedding and permits air flow. 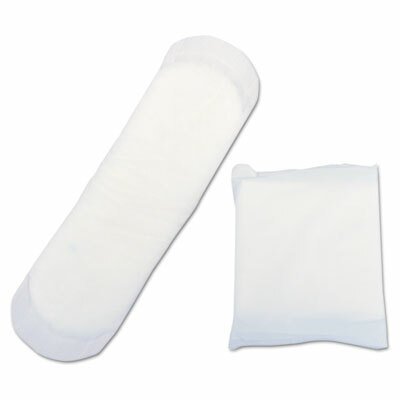 Diaper Style: Pad; Diaper Size: 31" x 36"; Latex Free: Yes; Liner Material: Super Absorbent Polymer.